Black eyed peas get their names from their characteristic appearance. They are white legumes with a small black dot resembling an eye. These delicious beans are well known in Southern and Southwestern cooking, but the nutrition of the black-eyed pea makes it an excellent addition to any menu. High fiber content – Helps regulate your digestive system and keep your cholesterol levels healthy. Excellent source of potassium – Provides protection against heart disease. A low-fat and low-calorie food. A good alternative source of protein for vegans and vegetarians. Good source of iron – Prevents anemia which produces fatigue and weakness. 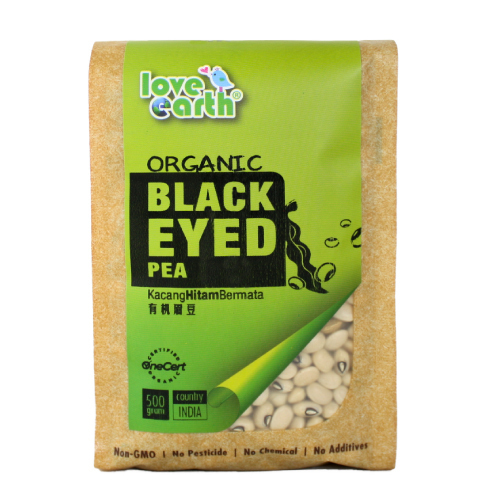 The flavorful black eyed peas are used to make a variety of tasty dishes like: soups, salads, fritters, and casseroles; they can also be puréed into a hummus-like spread.